If you love playing online slots, there’s a big chance you have participated in some slots tournaments. They are usually held in video slots while classic slots are rarely included in slots tournaments. Not too many online casinos offer these tournaments. You can usually find them in the older Microgaming casinos which still operate on the Viper download platform. But sometimes, they are available on new casinos too. Check our top list of online casinos where you can play free online slots tournaments! Slots tournaments are usually announced several days or at least a few hours in advance. Some slots tournaments where the prize pool is high are even announced weeks in advance. Every player who wants to take part in the tournament will have to register before the tournament starts. Some slots tournaments have a limited number of seats, so if you’re serious about taking part you will need to register as soon as the registration opens. The tournaments can be in free slots where you can register and play for free or with a buy-in. This means that you will need to buy in the entry fee to the tournament from your casino balance. The player is usually awarded a predetermined number of free spins for one buy in. Also, some online slots tournaments have a time limit for every buy-in. 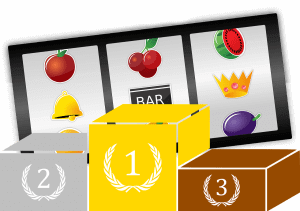 As you play, your winnings will generate points and you will climb up the leaderboard. The prizes you can win vary from one tournament to another. Players can usually get free spins or cash prizes added to their casino balance. Either way, slots tournaments are fun and very interesting to play. Who are the best providers of online slot tournaments? If you are looking for a new challenge while playing slots, you should definitely try out slot tournaments. It’s a fantastic way to get to play several great games for the one simple entrance fee. The key to slot tournaments is getting a good provider and fortunately for you, we are here to help. There are tons of different rules for different tournaments – but generally, you pay a buy-in and get a certain amount of coins. Then you play those coins on the tournament selected slots – the people who win the most from the start off coin amount usually win prizes. It can also have time constraints. There are several casino software providers best-known for online slots tournaments. Let’s see what platforms are the best for online slots tournaments. Microgaming is a renowned online slot provider, yet not all of its casinos have slot tournaments. That being said, the ones that do have excellent offerings. Royal Vegas was one of the first sites to use its software and offer a slot tournament, but since its success, others have followed suit. Now you can play excellent Microgaming slot tournaments on sites such as Jackpot City, Betway Casino or Casumo to name just a few. Superslots, Crazy Slots and English Harbour are just a few of the casinos that use Vegas Technology for their online slot tournaments. This provider excels in offerings of freeroll tournaments, where the winnings are in real money – so give them a go. Playtech is one of those software providers that always seem to be up with the leaders in the game. They really know how to develop a top-notch tournament, as anyone who has ever played on the likes of Leo Vegas or VideoSlots will be able to testament to. Slots tournaments can be very profitable. Some online gamblers only play in tournaments and don’t even bother playing individual slots. If you like Microgaming slots, you can register in any of the older Microgaming casinos. They regularly host free slots tournaments where you don’t need to buy in. This way you’ll be able to play for free and see what the tournament is all about. They also host weekly and daily tournaments on Immortal Romance and Thunderstruck II. The prizes are only $10 for the first 50 places. But if you win some free money, you can buy in the entry ticket to other slot tournaments with bigger prizes. Basically, online slot tournaments are easy to play. In the free slot tournaments, you play for free and although the prizes aren’t the best, you have a good chance to make some free casino money. The buy-in tournaments, however, require a little skill. You will need to play with your first buy-in and see which place you end up on the leaderboard. If you have a chance of winning a decent prize and be in profit after several re-buys, then it’s worth playing. If not, find another tournament and try again.